How a wine is presented on any retail shelf is a critical factor in grabbing the attention of potential buyers. The label must convey all the necessary information, but it also must be unique and stand out. Custom labels are the easiest way to show the world how unique and luxurious your product truly is. With so many options today, most businesses need to go the extra mile to beat out the competition. There are abundant choices when it comes to presenting any bottle of wine and while this part might seem trivial, it is the most important marketing aspect. A wine label is the first thing a potential buyer sees, making it important to use the right materials, design, and branding information. Custom designs make the product seem more luxurious or unique and help customers to easily identify your brand when perusing the shelf. 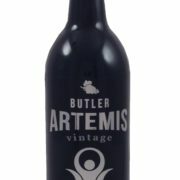 A wine label essentially tells a story about the product to each customer. If it does not look unique, then it will get lost in the crowd amidst hundreds or thousands of others. The print provider, materials, and concept will be a large contributor to how far your brand goes. Wine foil labels can be used to create three-dimensional effects, to add further texture, and to support an eye-catching design. These additional elements offer a new way to support the overall story of your winery or product, as this is something customers truly enjoy. With wine foil labels, it is possible to print on the actual material, adhere a cold foil, or to create an embossing element.. As a leader in product labeling solutions, Flexo-Graphics offers a variety of foil and paper presentation choices. Our team will work with you to determine the best options for getting your wine noticed. 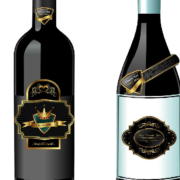 Contact us today to learn more about our wine foil label options! When we think of culinary treats from Wisconsin, cheese and beer immediately come to mind. But in recent years, the “cheese state”, with its revered beer breweries, has become increasingly known for a gastronomic delight that pairs well with many cheeses: wine. For most of our national history, the Northern, Eastern, and Midwestern U.S. haven’t been popular wine destinations for a good reason. Fluctuating seasonal temperatures in these geographies make it hard to achieve the maturation of traditional wine grapes. But advancements in grape breeding have created varieties that grow well in cold climes. It’s why other states that have cold winters like Wisconsin — such as Missouri and Vermont — have entered a beverage market that’s been largely dominated by California’s Napa Valley region. The next time you peruse a wine section looking for a complex tasting red, take a look at the labeling; you might see wine labels with Wisconsin vineyard scenes printed on them. The challenges of bringing new wine to market start with creating a beverage that tickles taste buds in just the right way — and ideally pairs well with certain foodstuffs to create marketing synergy that bolsters sales. Then comes the need for a bottling solution, which entails the need for a labeling solution. At first glance, a well-done wine label can seem like a bow atop a gift box — a nice piece of print work that connotes the luxuriousness of the libation behind the cork but seems mainly used for show. In reality, what seems like a final piece of design flair can be a gatekeeper to the purchase of the product. Wines of a specific variety generally look the same inside the bottle. It’s the label that catches shoppers’ attention — and there are three major attention grabbing elements: the label’s aesthetic design, physical condition, and printed information. If you’re a Wisconsinite who’s ready to release a great new wine to the world, these are the label areas to focus on when choosing a wine label supplier, along with considering label supply options. 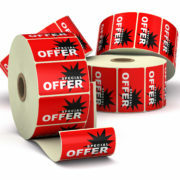 At Flexo-Graphics, we grow our business by staying current on label supply needs for emerging markets. Wisconsin wine is one of these markets — a flourishing niche market in the wine industry that grows with each Wisconsin wine tasting. We ensure that a label contains all FDA required and value-added information, make sure the label has the right adhesive and facestock for shipping and storage conditions, and provide labels that skillfully feature your brand, designs, and important text. In addition, we can supply wine labels for Wisconsin wine in practically any volume you require, on the schedule you need. Wisconsin has a long tradition of great cheeses and beers. Now wine has entered the culinary equation, too. To learn more about our capabilities and how we can support your product with labels for Wisconsin wine, call us today at (262) 790-2740, or send us an email using our contact form. Let’s toast to your success! 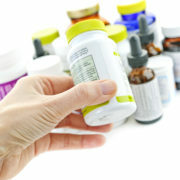 Nutraceutical Labels for Wisconsin Suppliers: Find Them Here! If you watch much TV, you’ve surely seen one: a commercial for a new pharmaceutical that takes a chemically novel approach to curing a health problem, but with a medicine that involves so many potential side effects, you wonder which is worse: the sickness or the cure? To be clear, nutraceuticals aren’t designed to replace pharmaceuticals at large. The latter are often designed to deliver a chemically engineered knockout punch to seriousness illnesses — from clinical anxiety to bacterial disease — and are the appropriate measure, in many cases. However, if your doctor prescribes a pharmaceutical, and you’d like to take a more natural approach to your condition, there’s no harm in asking if you can do a switcheroo, and avoid some of those potentially bothersome side effects. The state of Wisconsin seems tailor-made as a supply source for nutraceuticals. Long known as one of the most unpolluted and “natural” of our 50 states, the rolling, agrarian region seems like a perfect place to find produce that yields solids and aqueous extracts that often comprise nutraceuticals. The state’s local access to such resources can increase the economic feasibility of becoming a nutraceutical producer and/or supplier there. But right now, about 50% the global nutraceutical market is consolidated in the hands of a few big name suppliers, with BASF SE, Groupe Danone S.A., Royal DSM N.V., and Nestle S.A. leading the corporate pack. However, as the statistics from Transparency Market Research bear out, the nutraceutical market is expanding — and Wisconsin is one of the areas of growth, based on orders we see coming in for nutraceutical labels for Wisconsin suppliers. This is why we’re reaching out to Wisconsin nutraceutical suppliers — from online retailers, to small brick and mortar upstarts, to multi-department companies — with dynamic labeling solutions for nutraceuticals. Our nutraceutical labels for Wisconsin target a geographical sales area, but we custom design each labeling solution for the needs of the customer. Whether you’re a nutraceutical supplier in Wisconsin who needs your first order or labels, or an established supplier who would like to explore if a change in your labeling strategy could help sell your product, we’d like to hear from you. We produce custom labels that wear well, advertise well, and possess that certain something that makes them uniquely your own. To start exploring your options, call us today at (262) 790-2740, or send us an email through our contact form. We look forward to supporting your products that support good health the natural way! https://flexo-graphics.com/wp-content/uploads/AdobeStock_31195498.jpeg 5352 4032 fgadmin /wp-content/uploads/flexologoOLG.jpeg fgadmin2017-04-07 19:46:052017-04-12 19:51:04Nutraceutical Labels for Wisconsin Suppliers: Find Them Here!